Waikeria Prison has a strong tradition of using the arts as an intervention to support and enhance prisoners’ rehabilitation. With the prison management's encouragement, and with staff support for art initiatives, this tradition remains strong. 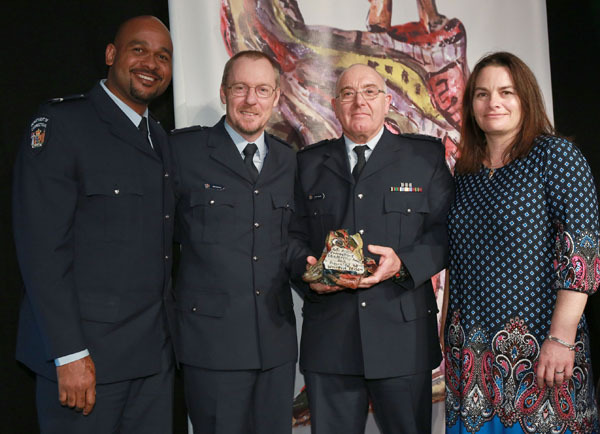 For their ongoing work and commitment to these projects, the Prison was awarded the Arts Access Corrections Leadership Award 2015, presented in Parliament at the Arts Access Awards on 1 July. “Receiving this award is really the icing on the cake and is formal recognition of everyone who has contributed in some way, either large or small in the completion of each of the art projects undertaken. Those who have been directly involved can be immensely proud of what they have achieved in each case,” Prison Director Kevin Smith says. 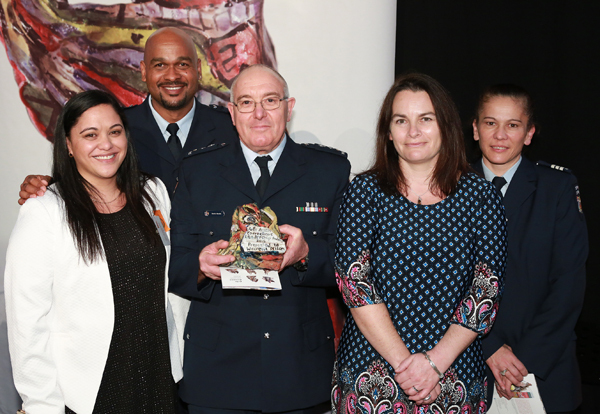 Recent highlights include the publication of a poetry book, Nga Kupu o Manawataki – Rhythm of Words, an impressive series of carving projects, and a collaboration between the prison, New Zealand Police, Community Probation and local artist Ann Byford. This partnership produced a series of paintings that led to the publication of Messages from Within, Journey from Dark to Light. Replicas of the original artwork are displayed across New Zealand prisons and Community Corrections sites. “I am extremely proud of the art projects that Waikeria has been, and continues to be, involved in. The award, in giving recognition to the prisoners’ work, contributes to the men’s motivation and sense of self-worth as they learn that they have skills and talents that are valued within the community,” acting Principal Psychologist Catherine King says. Ongoing work at the prison includes art classes at the Karaka Unit with artist Ann Byford, and creative writing with staff member Anwar Saady. Many of the units within Waikeria Prison provide a space allocated for carving. This space allows an outlet for the men to create art in their own time, encouraging cultural expression, and is often supported by experienced carvers including staff. The Karaka Unit also has a band room, which has led to some internal recordings of the prisoners’ music and there is ongoing encouragement and support for prisoners to pursue study opportunities in the arts and music. Catherine believes the various art programmes at Waikeria Prison are so successful due to the enthusiasm and motivation of the staff and the support of the prison and the wider Department, to make funding for these programmes available. “The art programmes also require the collaborations of community providers and individuals with the skills to support the prisoners’ ideas and then working with them to ensure that the art projects are meaningful and meeting the needs of the community,” Catherine says. These programmes have been successful in building connections within the local community, fostering positive relationships and providing the prisoners with an opportunity to give back to the community and be involved in something they can be proud of. Original generation time 1.5084 seconds. Cache Loaded in: 0.0603 seconds.